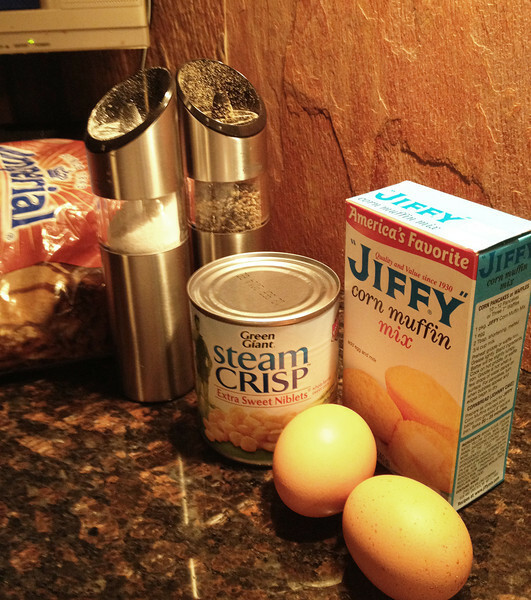 Mix one box of Jiffy with the eggs, brown sugar, corn, salt pepper, and just enough milk to make a thick batter. 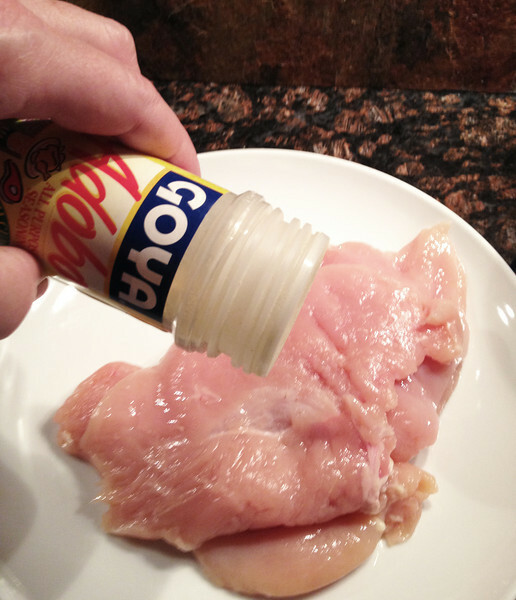 You can throw in some diced jalapenos if you like. 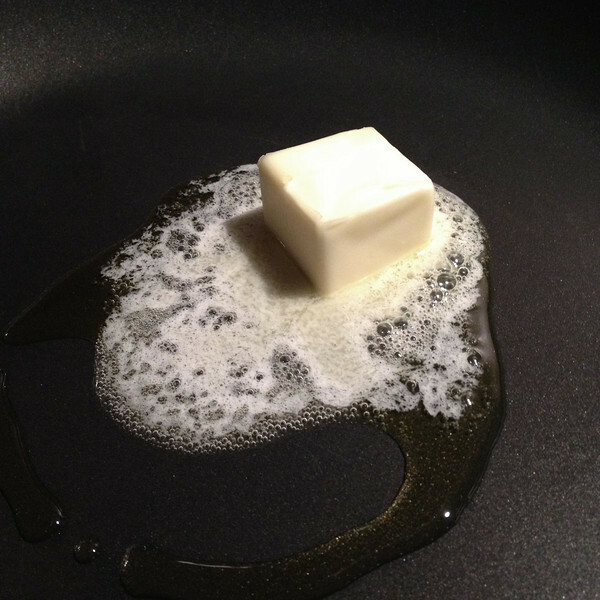 Make sure to grease the pan with Crisco for nice crispy edges. 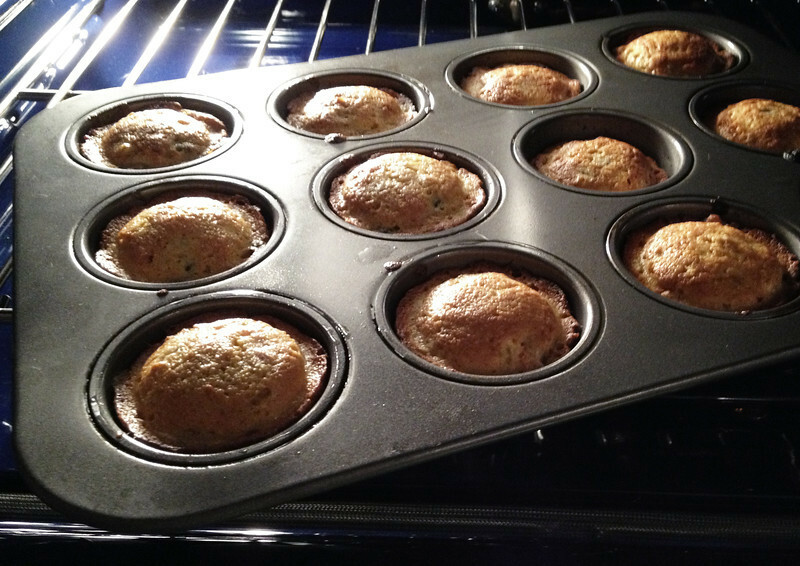 Here's a cool way to get muffins out of the pan using a large spoon... click for video. 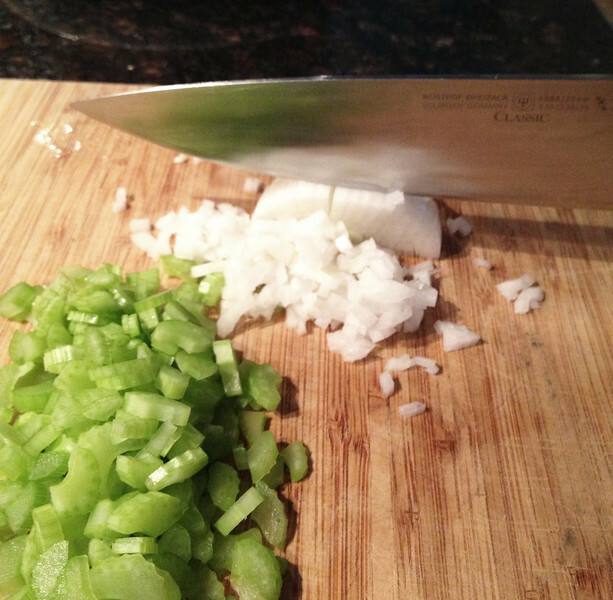 Dice the celery and onion fine. 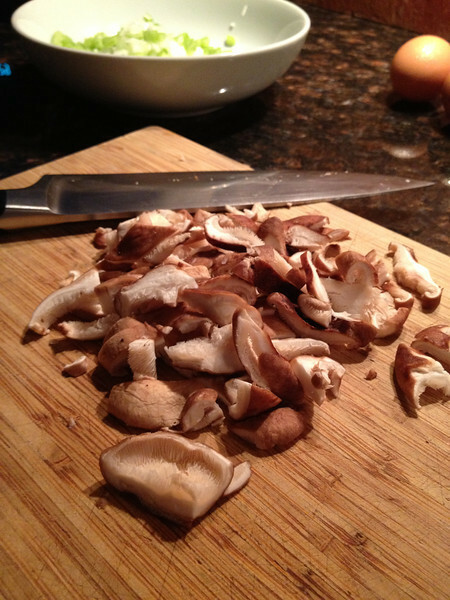 Remove the stems and chop the mushrooms. 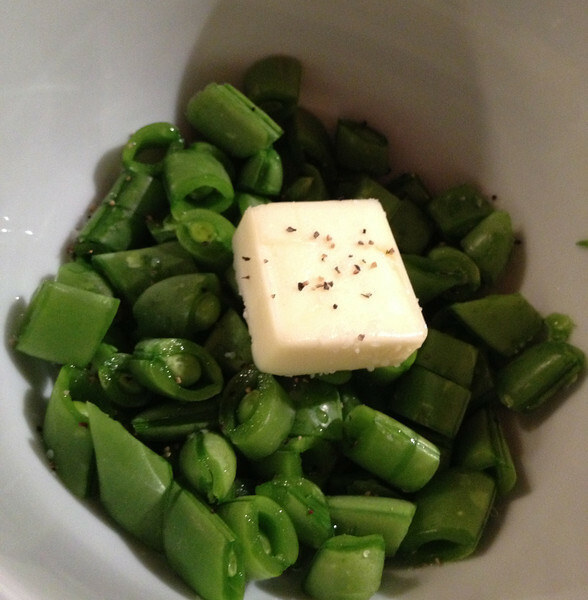 The default sautee- butter and a little olive oil. 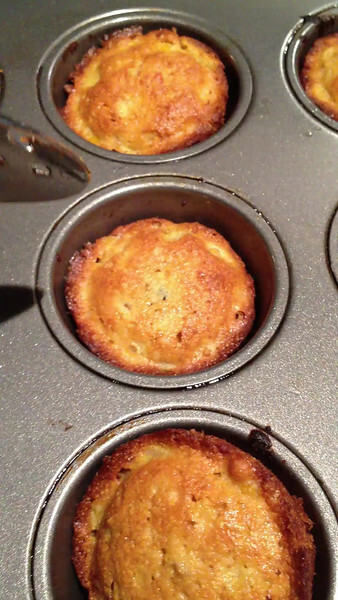 and then crumble the muffins in. 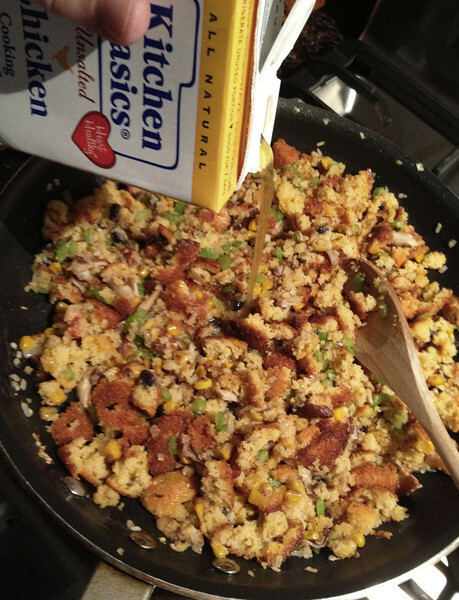 Add stock slowly until you get a moist but not too wet stuffing. 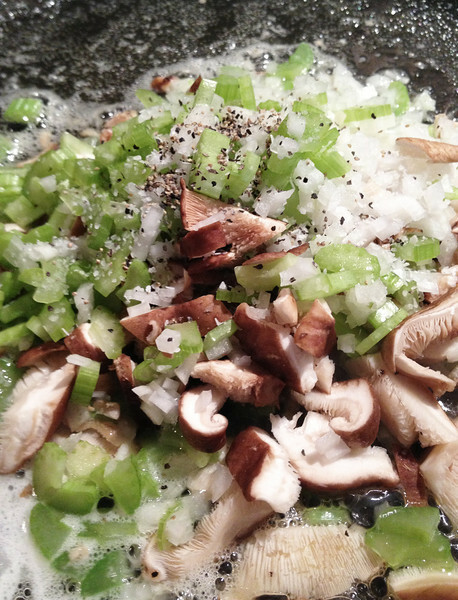 Stir to incorporate everything and let it cool. 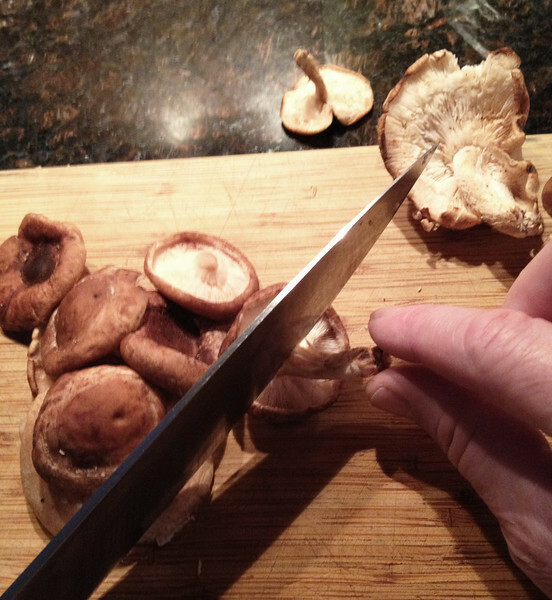 and pound it out about 1/2" thick. 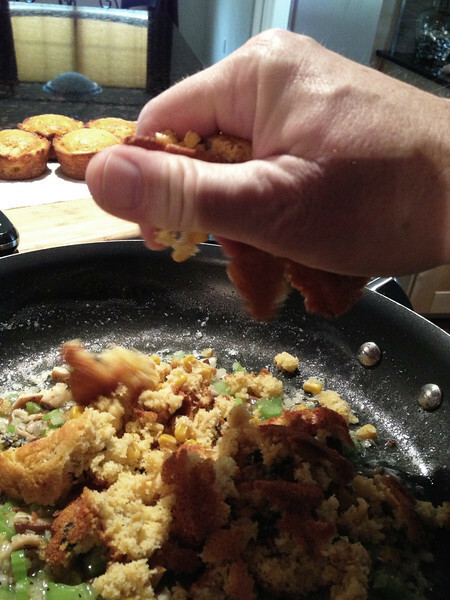 After it sits you should be able to form these shapes with your stuffing- about the size of a medium baked potato. 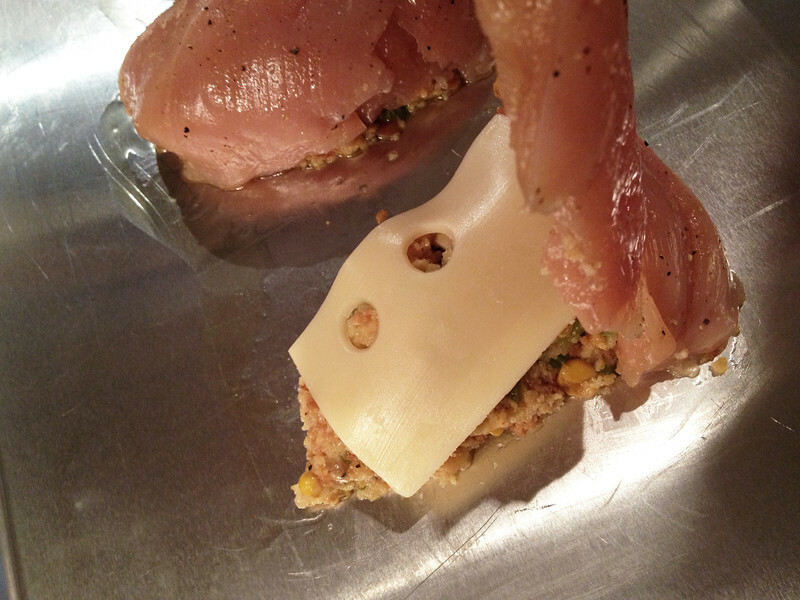 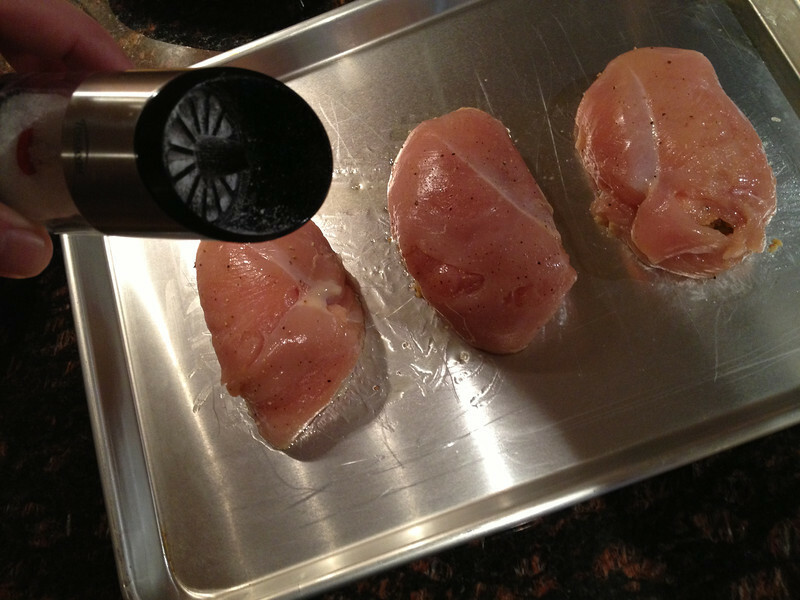 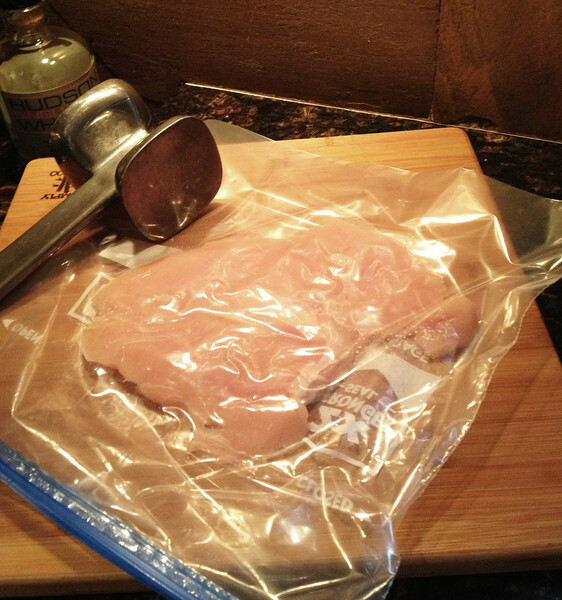 Put a slice of the cheese on and cover with the breast. 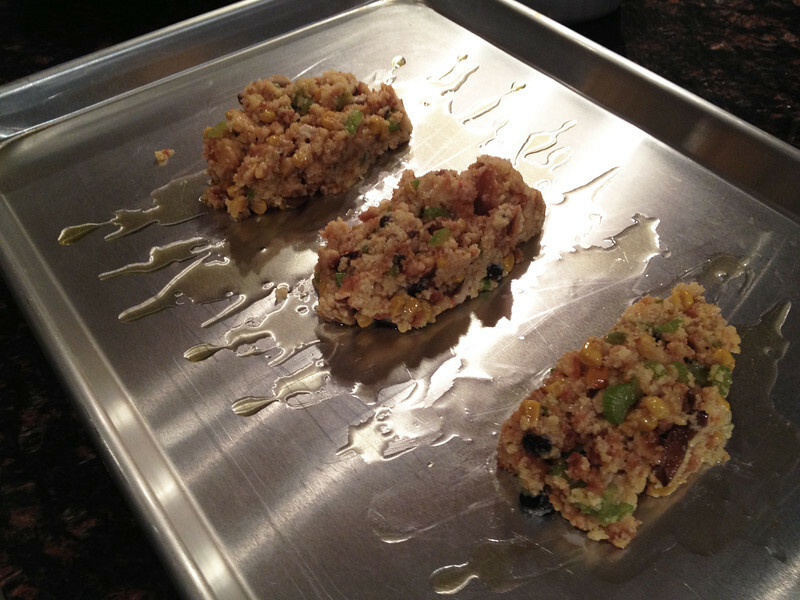 Tuck it all the way in underneath- much easier to do than rolling and tying, and no worries about the inside not coming up to safe temperature. 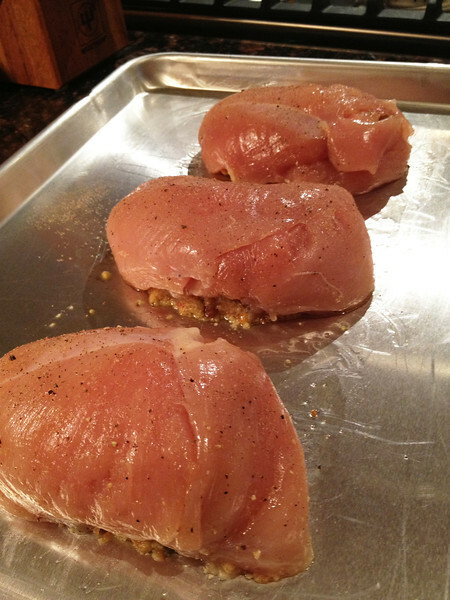 A little salt & pepper on top and drizzle with olive oil or melted butter. 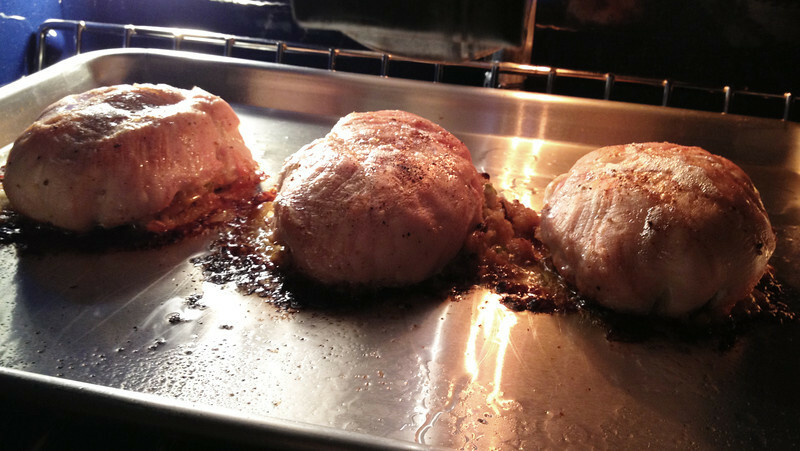 Place in 4500 degree oven on the upper rack and bake for 30 minutes. 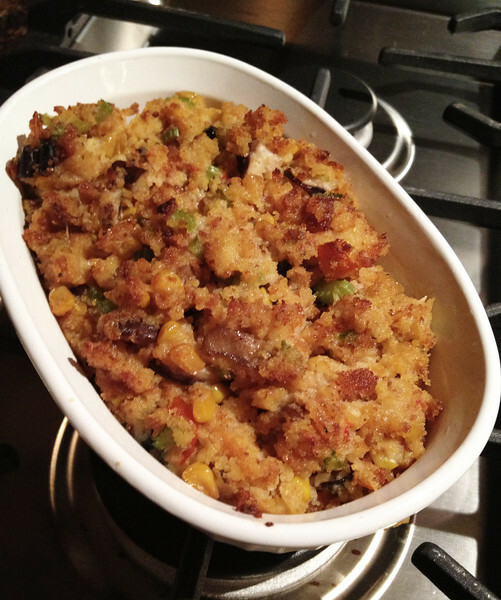 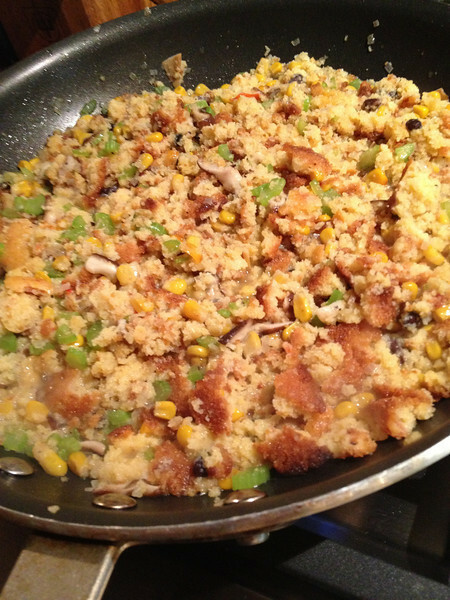 ...and the leftover stuffing- put in a baking dish and brown it while the chicken is cooking.